In an dark corner of the Stable office is an old TV set, on the days when the wind is in the right direction you can get a signal from the ancient creaky aerial. If you are not on tack cleaning duty or meant to be tidying the muck heap you can sometimes watch programs about the stables. 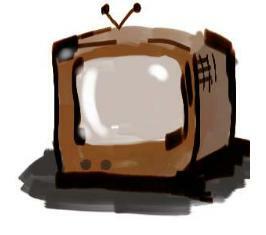 Havillands TV is on the air!